Products for serious collectors of Canadian Currency! 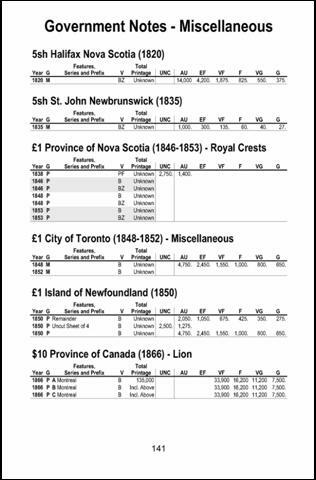 The 3rd edition of Brookstone Publishing's Canadian Currency Collection™ Price Guide for Notes provides a new approach to listing pricing information for bank note collectors. 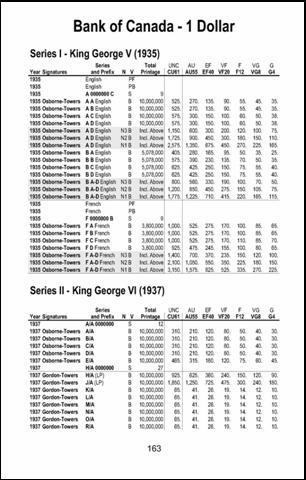 Items from Chartered Banks to the Bankof Canada have been categorized and organized in such a way that makes them quick and easy to find. Also, the price tables go on to include identifiers to distinguish between the variety of notes that are available, such as B for Business issue, S for Specimen, X for Replacement, T for Test, P for Proof and so on; along with identifying harder to find and more valuable specially numbered notes. 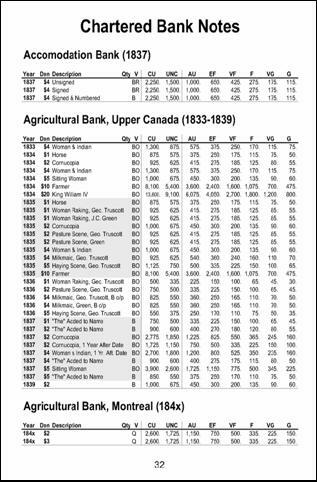 Below are selected images of the lisings and pricing for the three different sections of this guide: Chartered Banks, Government Issues and Bank of Canada notes. 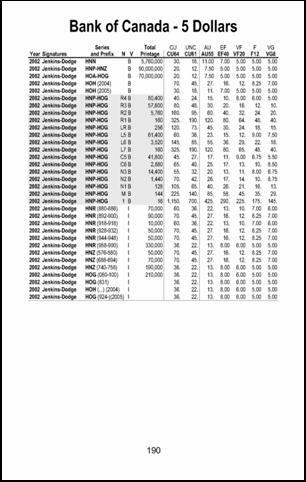 Copyright © 2003-2017 Brookstone Publishing. All rights reserved.